As you know, our club mission is to develop and solidify concrete skills through hands on experience, and digital marketing is a huge part of that! 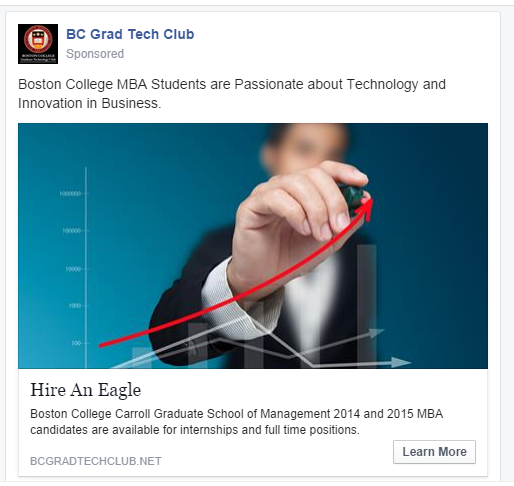 Every month we will try out a new digital marketing approach to increase interest in the BC Grad Tech Club through our various online channels: our website, blog, Facebook page, and Twitter account. We’re kicking it off this month with a goal of driving traffic to the Hire An Eagle page of the website using Facebook ads. I don’t know if any of you have ever given Facebook ads but it’s surprisingly easy for a first timer like myself. The interface is simple and gives step by step guidance for setting your targets, writing the copy and laying out the ad. We’ve decided to make use of the native A/B testing function built into the interface because, why not? For those unfamiliar, A/B testing involves having two or more versions of an ad, and keeping all elements of the ad constant save for the one element that you’re testing. Often it will be a headline, and image, or a call to action. This allows you to zero in on how each of the small pieces of your advertisement affects audience engagement. We are testing three version of the ad with different pictures, as below. Over the coming weeks, we’ll be using FB Ad Manager to look at the impressions and click rates we’re getting on the three versions. Which of the three do you think will be the most successful? 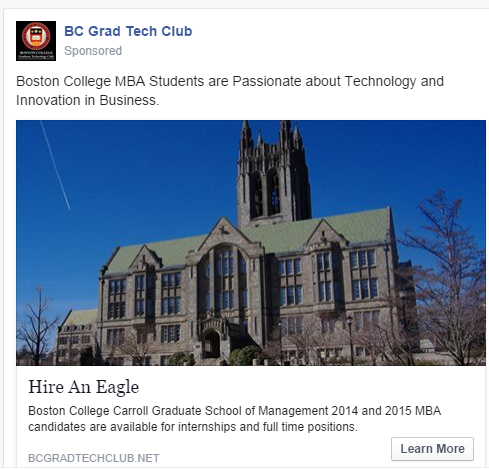 Our ad is targeting Boston College alums who work in the technology, business and IT industries. We’re looking to reach potential employers who may still feel connected to BC, and the more Eagles we have available for hire the better! If you’re still looking for internships or full time positions please email us and we’ll add you to the roster! Do you have any ideas or suggestions for new online marketing methods we could try in the coming months? Our budget may be small, but our ambition is huge! Fun Fact: I am a huge fan of Stephen King and have read all 50+ of his books. Alaina is a marketing professional with 7 years of experience under her belt. She graduated from UVA in 2005 with a BA in Anthropology, an unlikely subject which kindled her early passion for marketing. Alaina has held a variety of marketing roles and gained a broad skillset including account management, event management, CRM, copy writing and advertising. Most recently, Alaina worked in Business Development for a local web design and development agency and became skilled with lead generation and nurturing in the e-commerce space. 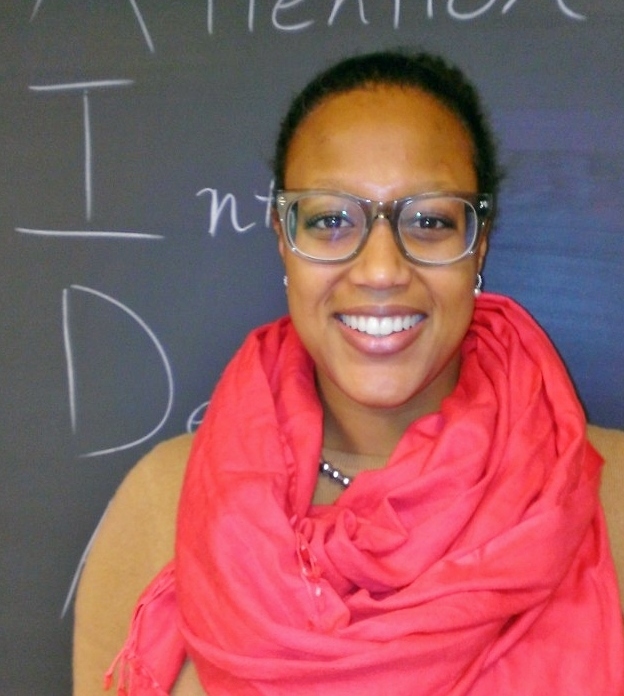 This experience in a technology focused company sparked a fascination with the role of analytics in marketing, which motivated her to return to school to gain the quantitative skills to necessary to grow her career in the direction of analytics-driven marketing strategy in the technology industry. In her first year at Boston College, Alaina attended the Tech Trek West field study and is terribly proud of the above photo taken at Facebook’s HQ in Menlo Park, California. David is the Grad Tech Club President and an Alum of both BC Tech Trek West and Tech Trek NYC. The son of a software engineer and a teacher, David has a passion for Product Management for its unique blend of creativity and leveraging data. Currently launching a business grade file sync and share product and pursuing his MBA at Boston College, he spent the previous four years at EF Education, enabling high school students and teachers to see the world and gain cultural understanding while doing it. While he found his initial success as a Salesman, his history background kept him digging deeper into numbers and processes until he was eventually asked to take on an analyst role, building out the BI Sales Dashboards and spearheading innovation in internal systems. Working with developers and business execs alike, he cultivated skills in data analysis and agile project management while developing a passion for technology in business. 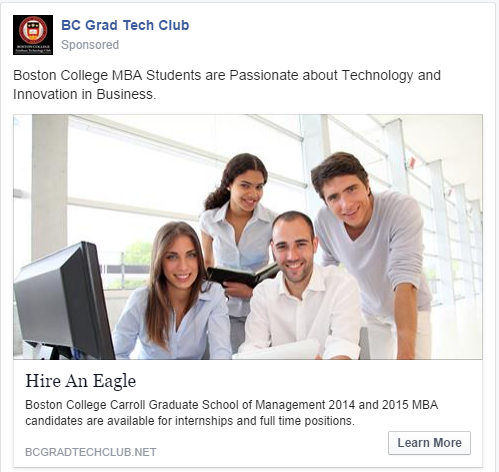 Posted in Hire an Eagle and tagged Hire a Grad Tech Eagle on July 8, 2014 by bcgradtechclub.